Next Race: 18th May 2019. Entries opened at 12 noon on Sunday 6th January and was full by 3pm. Three hours to sell out! We look forward to seeing you on the 18th May. 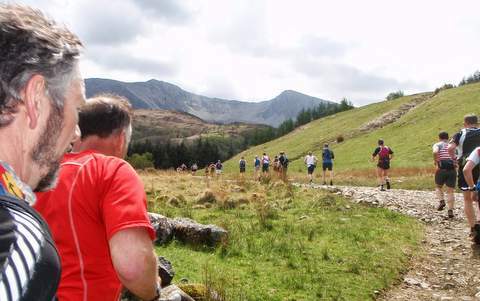 Ras y Gader, the Cader Idris mountain race, one of the toughest fell races in Wales, and viewed by many as a classic "must do" race in the calendar. 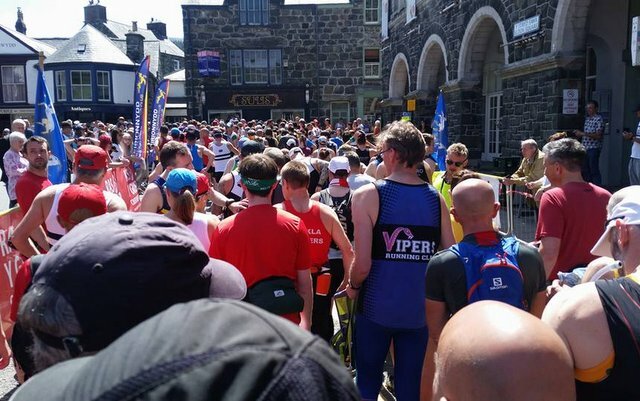 The event starts and finishes in the market town of Dolgellau, at sea level, and climbs almost 3000ft to the summit of Pen y Gader itself. 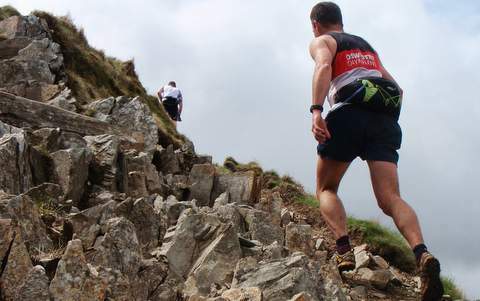 One of the real challenges of the race is the constantly changing terrain, switching from steep metalled roads to flat tracks behind Gwernan lake, pitched steps up the Pony Path, and picking your way among the boulder fields on the final ascent........and then you've got to do it all in reverse! The key to success is avoiding cramp with the changing surfaces and gradients on the way back to town. 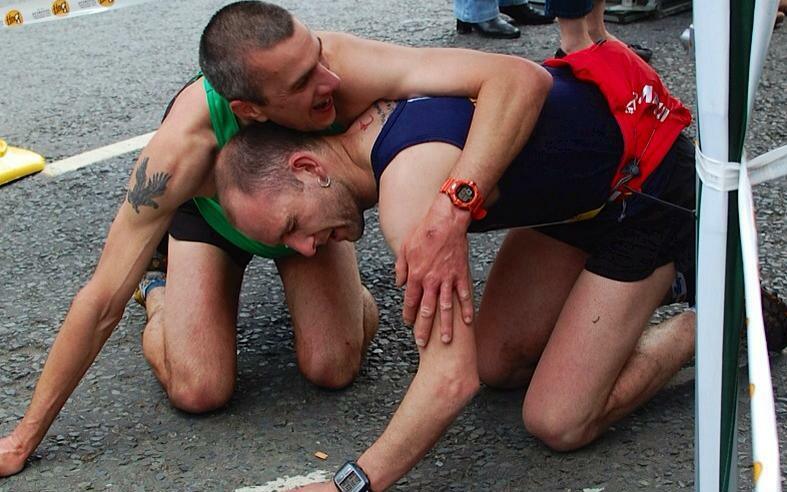 The atmosphere at the finish line, for those who successfully complete the course, with cheering crowds will long remain in the memory. Finishers medals are awarded to all junior race entrants. Entry for all of the junior races is on the day only. 13:10: U/12 (c.2km) race starts. 13:35: U/14 (c.3km) and U/16 (c.4km) races. 13:00: Main race (10 miles) and U/18 (c.10km) race. 2018 sponsors of the Junior race were: JGS Electricals. 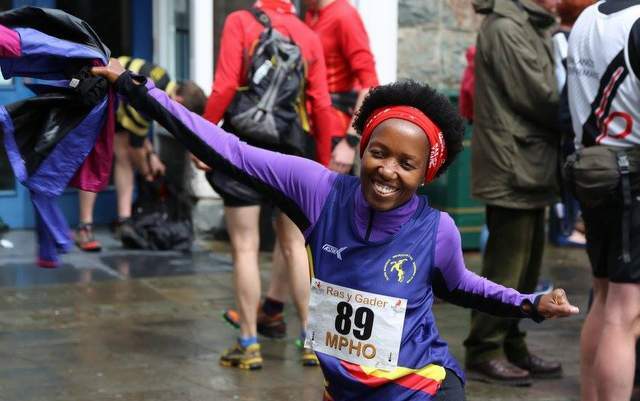 Cader Idris Race Report Saturday 19th May 2018 Entries for the 2018 race went live on 7th January and a mere 13 hours later the 320 places were completely sold out. For the second year running no facebook promo was undertaken with the advertising of the race purely organic from the 1,800 page followers and the race website. In the weeks running up to the event approx. 25 people had their race numbers transferred to either friends or people on the waiting list resulting in 281 finishers (288 starters), an increase on the 261 in 2017 and 234 in 2016. Due to some issues with queues at the stiles behind the Gwernan lake the committee has decided not to increase the size of the field in 2019. 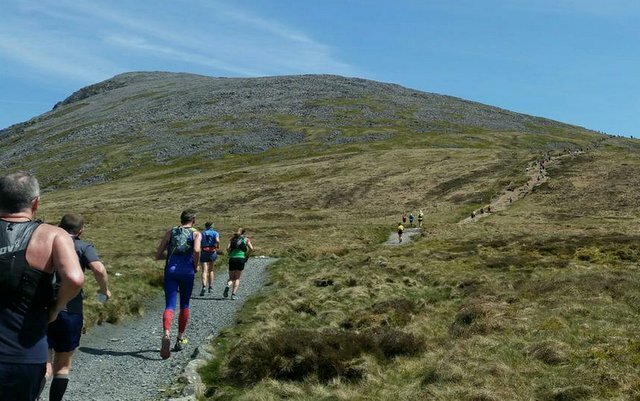 The 26th running of Ras y Gader fell during the heat wave of May with temperatures forecast to be well into their 20’s for race day. Warnings of the need to carry water due to limited location of water stations was posted on the facebook page the evening before the event and was reiterated at registration the next day and during the race directors briefing Radio comms and tracking the runners up and down the mountain worked well though it is always a complex task tracking those who drop out at different points on the course. 7 failed to complete the course, 2 had to be recovered by marshals from the race route and were treated by red cross at race HQ for heat stroke, 3 dropped out before the cut off point and sadly for the first time in the history of the race the mountain rescue were required to treat and evacuate 2 runners from the mountain who had sustained broken bones! All casualties later sent their thanks for the help they had received. 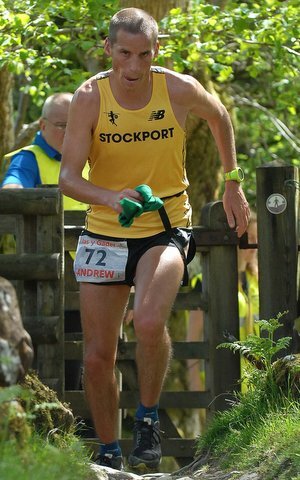 The main race, once again sponsored by the Royal Ship Hotel/Robinsons Brewery was won this year by Andrew Davies of Stockport, in 1.29.17, 2nd, Chris McMillan, Weston AC, 1.29.24 and 3rd, Peter Ryder, Aberdare, 1.29.45. The ladies race was won by Helen Brown, Mynydd Du, 1.52.44, in 2nd, Elliw Haf, Eryri, 1.52.50 and 3rd, Nia Albiston, Eryri, 1.52.57. In the age categories: First Man U/23, Owen Roberts, Hebog, 01.40.40, 0/40, Jez Brown, Buckley, 01.35.20, 0/50, Paul Jeggo, Springfield Striders, 01.47.41, 0/60, John Aggleton, Mynydd Du, 01.54.25, 0/70, Peter Hadley, Cambridge, 2.27.54. 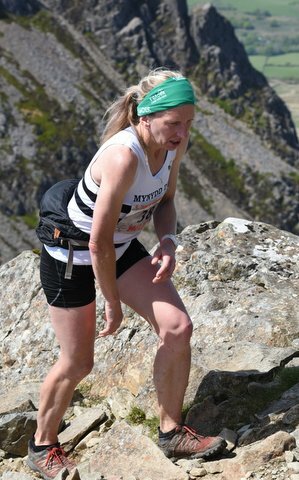 First Woman U/23, Lucy Allen, 02.45.09, 0/40, Rhian Probert, Mynydd Du, 01.56.03, 0/50, Niki Morgan, Mynydd Du, 01.58.32, 0/60, Menai Baugh, Denbigh, 02.39.06, 0/70, Maggie Oliver, 03.00.07. Full results can be found on http://tdleventservices.co.uk/race-results 156 kids took part in the Ras y Gader 2018 junior races, sponsored again by JGS Electrical. They all seemed pleased with their medals afterwards. The winners of this years races were: Fun Run, 1st Boy Noah White, Four Crosses. 1st Girl, Ela Fon Jones, Pwhelli. U/12 Race, 1st Boy Charlie Preece, Telford, 6.08. 1st Girl LLiwen Davies, Bala, 7.31 U/14 Race, 1st Boy Callum Morgan, Welshpool, 11.25. 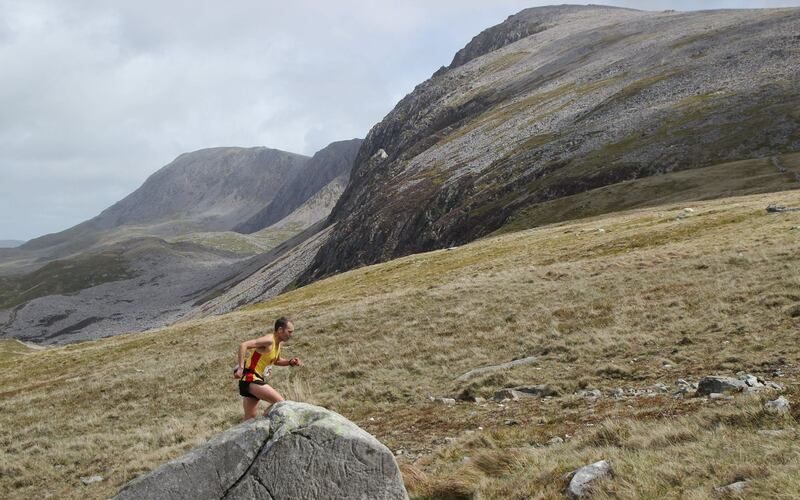 1st Girl Maggie Preece, Telford, 12.39 U/16 Race, 1st Boy Euros Evans, Meirionnydd, 18.54. 1st Girl – No runners. U/18 race, 1st Boy, Ben Daniels, Trawsfynydd, 52.43. 1st Girl – No runners. Radio comms for both the junior and main races went well this year though some marshals with 2 radios got a bit confused as to which they were using at which point. 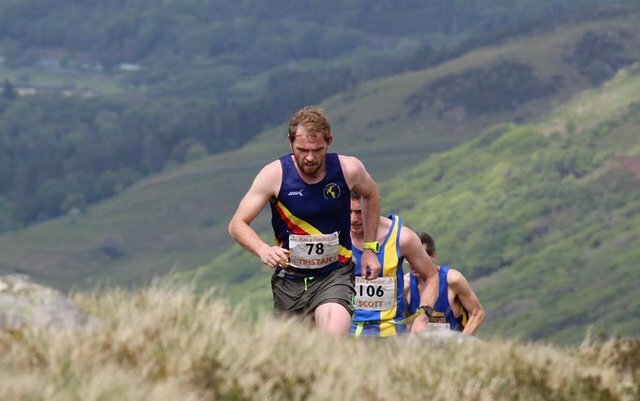 Andre Bright had his first year as junior race organiser and he did superbly well being thrown in at the deep end. We hope he continues to be involved with organising and developing the races. The new revamped website is now up and running and a big vote of thanks should be extended to Arfon Hughes for his work on this. Big thanks as ever to the 54 marshals and volunteers who make the race possible, the people and businesses of Dolgellau for their continued support and tolerance of the race, Gwynedd Council for the road closures, Cyngor Tref Dolgellau for the financial assistance and the Mountain Rescue, North Wales Police and the National Parc Wardens for their on the day assistance. The date for the 2018 has been set for Saturday 18th May 2019. It will be advertised in the FRA and WFRA calendars and on the facebook and website pages. On line entries will go live in the beginning of January 2019. Graeme Stringer, Race Director, August 2018.